For business travelers keeping your intellectual property secure is extremely important. The associated dollar loss to you and your company, not to mention trade secrets, can be huge. As more business travelers today carry proprietary and sensitive documents and files with them on their laptops, tablets, and even their smartphones, the threat of theft increases. When you connect to the Internet from your office, you know who is responsible for the network and which people can connect to it. However, when you travel, especially overseas, you are no longer guaranteed that same level of security to keep your data safe. On a public network, anyone can be connected and you have no idea of their intentions. Potentially, someone sitting next to you in a coffee shop can capture the data sent from your device – in fact, there are free apps that help with this. According to Luke Bencie, author of Among Enemies: Counter-Espionage for the Business Traveler, there are some common-sense things every business traveler should do to help protect their intellectual property. The data security tips below were adapted from Bencie’s article “Everyday Business Travelers Are Easy Targets for Espionage,” published at Harvard Business Review. Don’t leave them in your hotel room, including the hotel safe. Bencie recommends that you carry them with you at all times. Use a disposable cellphone when traveling (they are less susceptible to eavesdropping). Put sensitive business documents on password-protected USB drives. Use a strong passphrase (instead of a password) containing up to 14-18 characters. Change it once you return from your business trip. Make it a habit to power off your devices when they are not in use. Read the full article here for more information on how to protect your intellectual property while traveling. The combination of a secure WiFi connection and a trusted VPN is the best defense for business travelers (and anyone wanting to ensure the security of their data). 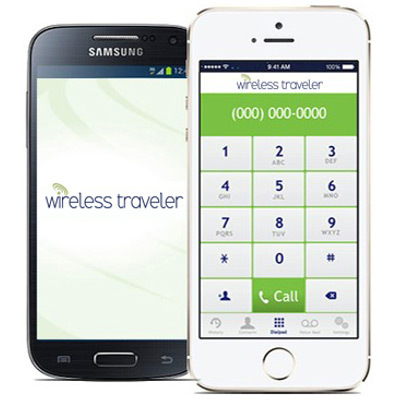 Wireless Traveler’s Unlimited Pocket WiFi Hotspot and High Speed Pocket WiFi Hotspot offer safe and secure password-protected connections. You can order a secure WiFi hotspot directly from our web site. Our excellent customer service team can answer any questions you may have.